Today the first ever photograph of a black hole was made public. A smudge of light against the deep black expanse, forming a halo which glows and almost seems to pulsate, this new image appears at once both transcendent of human limitations and a warm body that exists towards the furthest reaches of vision. It’s both soft and awe-inspiring. There is something magisterial in the way it holds your attention. Quietly, taking without needing to ask. When presented with the undeniable awesomeness of the night sky, your mind maybe begins to ask questions, to try and push out to find the truth of the cosmic spectacle that comes into focus on clear, cool evenings. And it wouldn’t be alone. Space has inspired people for as long as people have been able to look upwards. We are meaning-making creatures, and a great many Christians have counted themselves amongst those who are provoked to wonder by the reaches of space, by God’s cosmic fireworks. Helping you to find books that will not only answer some questions you have about science and faith but also ignite a passion to discover more, here are some of our picks for books that explore Christianity and the Cosmos. Many people assume that science 'disproves' the idea of God and that we no longer need faith in order to understand the world or why we are in it. 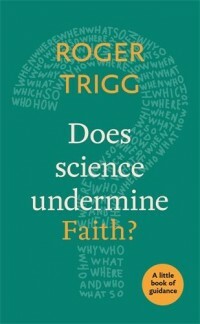 Roger Trigg examines these assumptions and considers whether recent developments in science may, in fact, support religious faith. 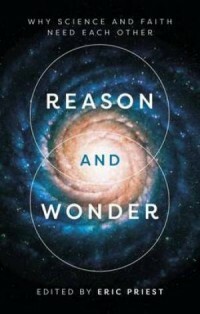 He goes on to consider the increasing scientific evidence for the inherent orderliness and comprehensibility of the universe, which leads him to ask an even more radical question: Might there be aspects of religious belief that can help to support our science? An exploration of human identity from both scientific and religious perspectives, from bestselling author and Andreas Idreos Professor of Science & Religion at Oxford University, Alister McGrath. There is currently a huge interest in the question of human nature and identity, and what the human future might look like. Who are we? Why are we here? What is our future? Are we alone? 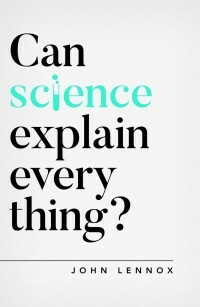 And what can religion bring, alongside biology and anthropology, to these important and exciting questions? 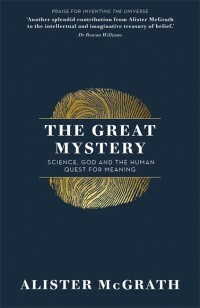 The Great Mystery focuses on this fascinating field of study. Alister McGrath explores the question of human nature from both scientific and religious perspectives, and weaves together the results to open up and explore some of the deepest and most important questions about who we are, why we matter, and what our future might be. In his decades as a globally recognized teacher, Richard Rohr has helped millions realize what is at stake in matters of faith and spirituality. 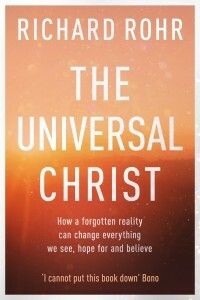 Yet Rohr has never written on the most perennially talked about topic in Christianity: Jesus. Most know who Jesus was, but who was Christ? Is the word simply Jesus' last name? Too often, Rohr writes, our understanding has been limited by culture, religious squabbling, and the human tendency to put ourselves at the centre. Drawing on scripture, history and spiritual practice, Rohr articulates a transformative view of Jesus Christ as a portrait of God's constant, unfolding work in the world. 'God loves things by becoming them,' he writes, and Jesus' life was meant to declare that humanity has never been separate from God – except by its own negative choice. When we recover this fundamental truth, faith becomes less about proving Jesus was God, and more about learning to recognize the Creator's presence all around us and in everyone we meet. 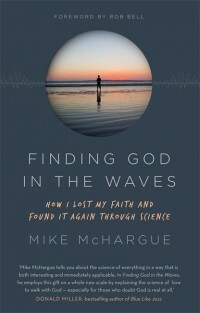 From the host of the popular podcasts The Liturgists and Ask Science Mike, a story of having faith, losing it, and finding it again through science - revealing how the latest in neuroscience, physics, and biology help us understand God, faith and ourselves. This lively, authoritative and accessible summary of key points of convergence between science and religion is written by an international team of experts. An introductory chapter by the editor discusses the relationship between science and religion, and provides a summary of the themes of the book. Two chapters follow on a philosophical approach to the field, describing the relation with new atheism and the nature of natural law and reductionism. Then there are two chapters on astronomy and the nature of the universe, and two on evolution and creation. Three chapters follow from the biosciences, one on genes, another on psychology and a third on the nature of the person. These are complemented by two final theological chapters, one on the nature of miracles and another on trusting the New Testament.